With elementary school renovation and expansion projects complete at five elementary schools in Andover, here’s a look at what’s next for construction related to the bond issue voters approved in May 2017. Click here for a more detailed timeline. Construction has begun at Andover Central High School, and the Board of Education approved a guaranteed maximum price of $9.25 million for the project. The project includes new classrooms, science labs, a multipurpose room, small engines technology lab, controlled access at the main entry, remodeling inside the existing building, and more. 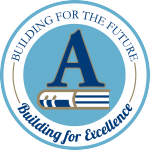 The largest single project included in the $188 million bond issue is the new Andover High School, which will be built east of the existing school, keeping the current gymnasiums. The project also will include a new district-wide swimming pool. The white area in the image below shows the new school will be located, with the gray area representing the existing school. Bids for AHS are expected in September. 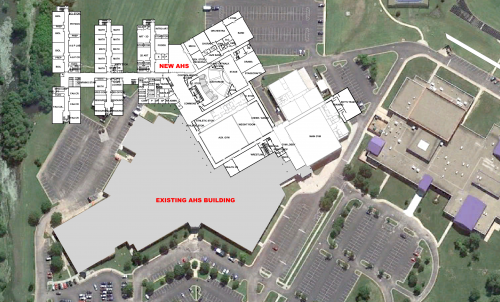 Construction will occur in phases to minimize impact on students in the current school. The new AHS should be ready for move-in prior to the 2020-21 school year. 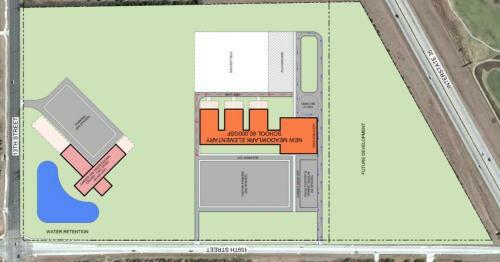 Meanwhile, a site concept has been developed for the land purchased at 13th and 159th streets, which will house a new Meadowlark Elementary and Career Center. Plans call for the Career Center to sit on the corner of the intersection, with Meadowlark sitting back farther from the road. 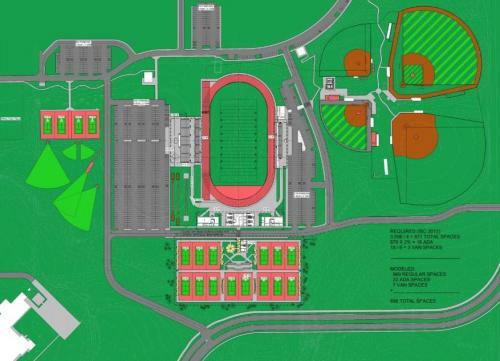 The Tennis Complex will be located to the south of the stadium, with a shared concession stand and locker room facility between the two. The road at bottom shows the planned extension of Yorktown Road. The District Stadium also will be renovated as part of the bond projects, and will become Andover High School’s stadium. 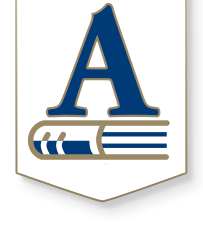 Designs will begin for expansion and renovation at Andover Central Middle School and Andover Middle School this fall, with construction beginning in the spring and slated for completion before the 2020-21 school year. Thank you to our architect and construction partners for their collaboration in these projects! We’re proud to work with SJCF Architecture, Hutton Construction and Icon Structures. And thank you to our staff, students, parents and community not only for supporting the bond issue, but for your patience during the construction process.